Great 3 BR, 2 BA brick home w/some updates sitting on 6 acres m/l w/additional shop, 3 horse corrals, 2 barns & a pond! Cute updated spacious Dewey home! Price Reduced $89,900! Cute updated spacious Dewey home! 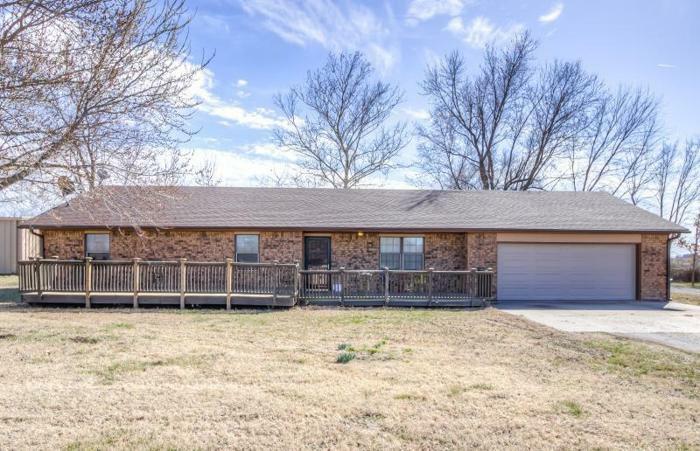 Great flowing open floor plan w/ large fenced yard. Bring history back to life in this home! Price Reduced $29,995!